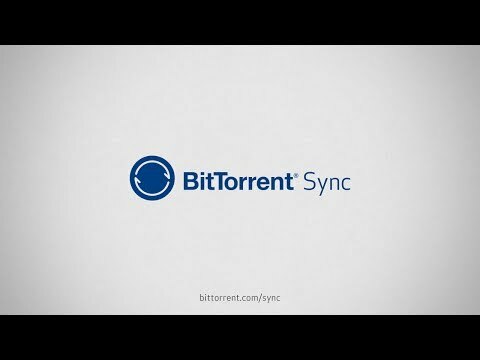 Today BitTorrent is announcing a big upgrade for its P2P Dropbox competitor, BitTorrent Sync. As the app hits version 2.0 and sheds the ‘beta’ tag, the company is introducing a number of new features catered to power users and IT departments. Sync Pro is also looking to undercut its competitors in price – its subscription is fixed at $39.99 per year, compared to prices above the $80 dollar range for Dropbox and Google Drive. BitTorrent says it’s able to set its price so low because it doesn’t have to maintain huge numbers of centralized servers. But the company says there are more advantages than just the price: because Sync runs on P2P connections, the company claims it can always find the quickest pathway between devices. For instance, users don’t even need to be connected to the internet in order to share files – Sync will route files through a local network if both users are on it. Furthermore, the direct pathway also means it’s easier to share large files, something that’s been particularly difficult to and from mobile devices. Whereas Apple users can use AirDrop, that’s limited to iOS and OS X – Sync lets your work on many more. In fact, BitTorrent is planning on releasing a separate app for this purpose alone. As for security, BitTorrent says your files are safer because there are no passwords to be hacked. All files are authenticated via encrypted key pairs that are shared directly between devices, which basically means BitTorrent itself never has access to your files. On the other hand, it’s worth keeping in mind that Sync isn’t a storage solution – you can’t upload a file to the cloud, shut off your computer and then access it on your mobile device. You could work around this by setting up a storage server of your own, but in general files need to be shared directly between devices. Still, it’s a useful platform for users who need a lot of control over large amounts of data. BitTorrent says it will launch Sync 2.0 in an alpha version “soon”, with a final rollout slated for 2015.